Here at MT Mechanical we have been in the Forklift hire and sale market for over 30 years and therefore, our experience in the market is vast. The new clients we speak with often ask the same question, whether it’s better for them to buy a forklift or hire one on a long term contract. Not all companies buy their forklifts, even when they’re used on a regular basis and it’s often due to the reasons below. If you were to go out and purchase a forklift truck outright then you are then responsible for all servicing, examinations and maintenance. While our forklift servicing, maintenance and examination packages are very competitively priced, this cost is included in the low cost of hiring one of our forklifts. Another way to look at it is to imagine that you buy a forklift and then a few years down the line it catastrophically fails. The cost of replacement parts and temporary replacement forklifts can be difficult to budget for, much more difficult than a monthly hire cost. 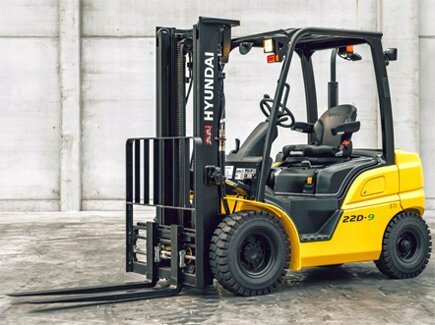 Our forklift trucks are all serviced and inspected regularly to ensure that they are in optimum condition, however, if a problem does arise then our emergency breakdown team will be straight out to minimise your downtime and even provide a replacement truck in the case of a long term breakdown. The health and safety requirements for forklifts can be confusing if you don’t know what you’re looking at, fortunately we do. A great deal of accidents involving forklifts involve unsuitable working conditions or poor forklift maintenance. When hiring a forklift you have the ability to pick up the phone and talk to an expert at MT Mechanical, you can also expect expert advice at the beginning of a hire contract covering all kinds of aspects such as PPE (Personal Protective Equipment), risk assessments, employee training / working conditions and more. We will take care of all health & safety legislation for you, because we know you don’t want the hassle! The cost of buying a forklift outright is usually quite a large expenditure, hiring on a long term contract gives you the same regular use of a forklift with the payment of a low monthly fee. This works great for small and large companies alike who might not have the money readily available to purchase or might simply want to invest the money elsewhere. So all in all hiring can improve your cash-flow, make your forklift using life easier by both doing away with health & safety legislation and also maintenance and servicing worries and give you access to the professional and expert knowledge and advice of our team here at MT Mechanical. There are more benefits and advantages of hiring forklifts over buying, for more information on hiring a truck from our fleet, please visit our Forklift Hire page today!